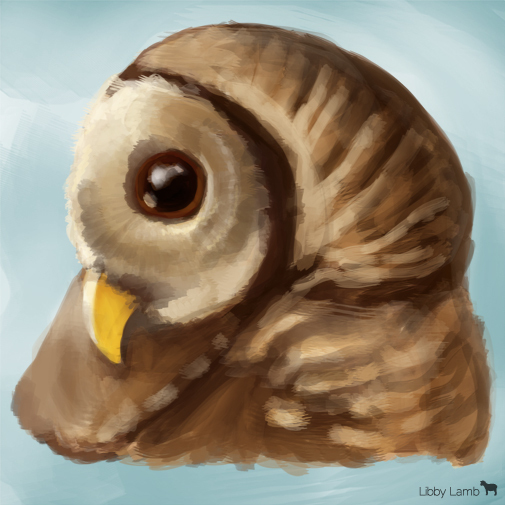 I took a zoological illustration class in college where a few owls and hawks were brought in so we could sketch and take pictures of them. 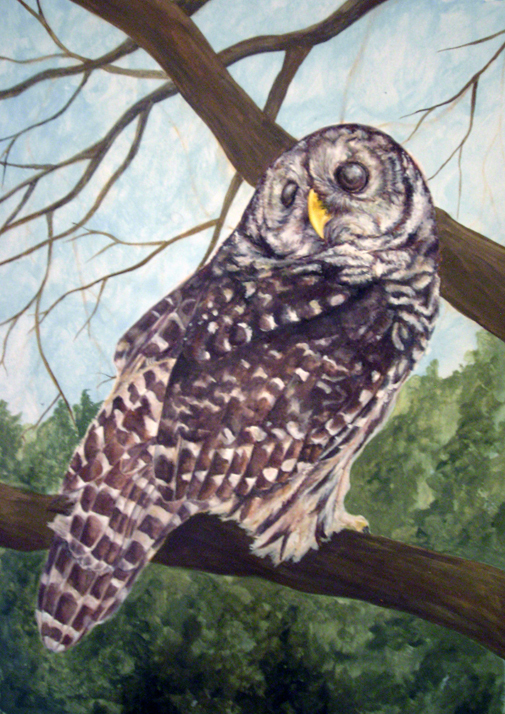 My favorite was a barred owl named Hunter. A sketch I did today is above, and a painting I did for the course is below.